This book is about real magick, effecting real change, in a real world. There are some books on magick that teach it purely as spiritual advancement. Others teach it as a form of psychological self-help that effects only inner change. While magick can and should be both of these, it is also something more. The Sorcerer’s Secrets is about success in practical magick; it is a book that aims at changing both the outer and inner worlds. Beyond a mere spell book or training course, The Sorcerer’s Secrets is a field manual on successful sorcery written by a professional sorcerer. The first part of the book lays out the qualities, concepts, and exercises necessary to attempt practical magick. The second part presents clear strategies for tackling almost any type of issue with sorcery. * Attack problems from multiple angles, not just by casting a spell. * Blend mundane and magickal action to ensure success. * Figure out whether what you are doing is working, and fix it if it isn’t. * Go beyond readings, into magickal intelligence-gathering. * Influence the minds of other people. * Work most effectively on behalf of others. 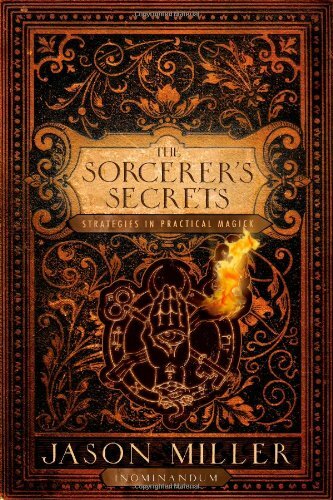 The Sorcerer’s Secrets will help rescue the art of Magick from those who have ignored, downplayed, or just outright denied the existence of practical sorcery in favor of arcane titles, intangible results, and fantasy attainments.